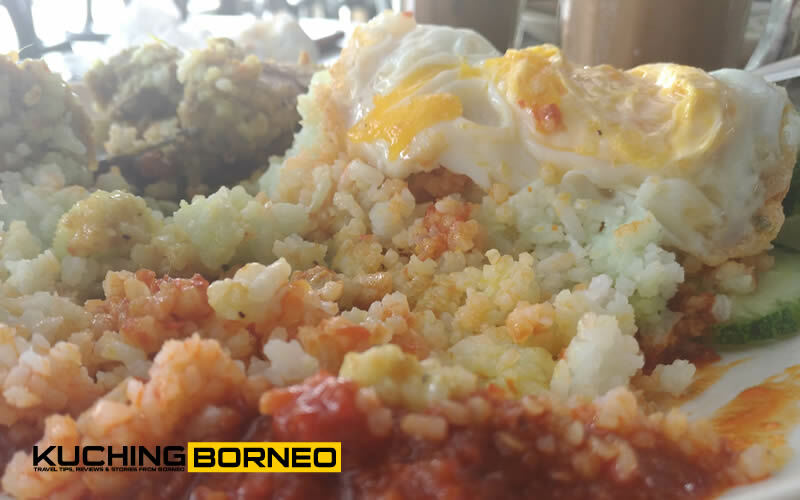 Nasi lemak is like a traditional breakfast dish for Malaysians. 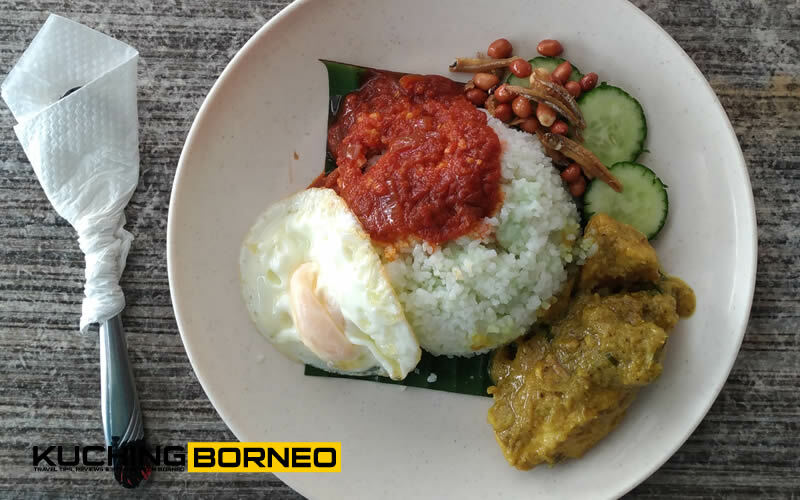 Ever since I came back to Kuching from my four years studying in West Malaysia, I’ve been seeking a nasi lemak Semenanjung style which is equally delicious and worth to enjoy every now and then. The one I used to have was served by a makcik at Parit Raja, Johor, and it had a certain chicken rendang, egg and sambal accompanying it, which unfortunately wasn’t found anywhere in Kuching until today. 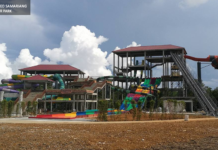 I have almost given up looking for a place in Kuching which equals the one I had in Parit Raja, Johor, but thankfully today, I found it at the unlikeliest place, near a carwash at a place unknown to many. Most of the time, people say that the sambal that accompanies the nasi lemak is the one that makes or breaks it. That is true to an extend, but when you are paying top dollar for ‘nasi lemak special‘, the additions must be worth every penny, and this is where the chicken rendang comes in. – FYI, I don’t get the dish with satay. 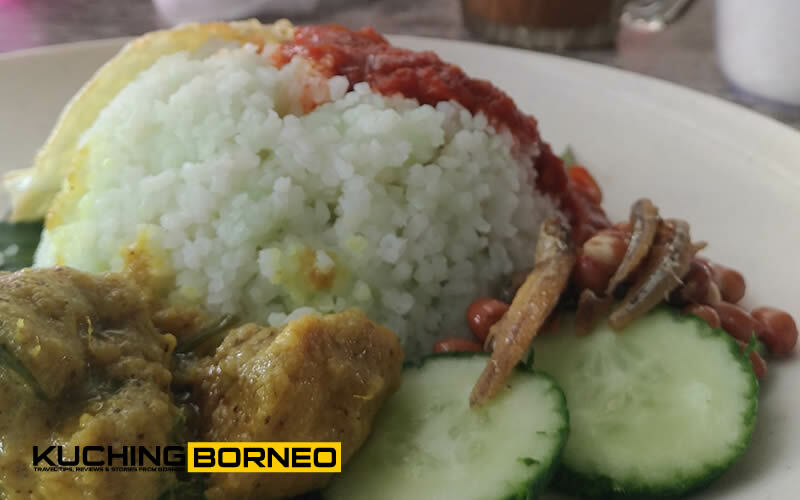 Of course preference of nasi lemak, as well as chicken rendang and sambal would differ from individuals, but my liking is the chicken rendang being not too spicy, and having a bit of masak lemak taste to it. The sambal on the other hand must be home made, slightly spicy and with minimal (or no) anchovies (pusu/bilis). On top of that, one sunny side up egg (telur mata lembu) must accompany the dish, with the egg yolk being half cooked (watery). Fried salted fish, or fried anchovies and peanuts would probably make it taste better, but I’m not so particular since I eat them separately anyway. 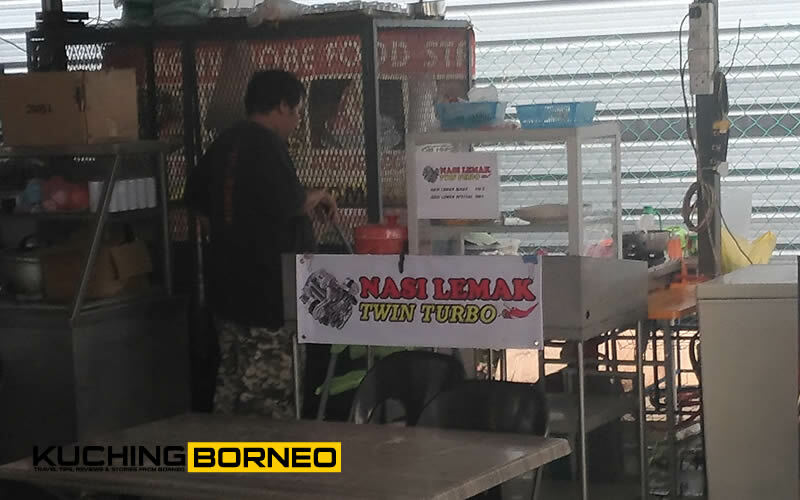 What I just described was the best nasi lemak I ate in Parit Raja, and I am very happy that I found a place in Kuching that serves this sort of nasi lemak today, and it’s called ‘Nasi Lemak Twin Turbo‘ though I must admit, I have no idea why such name was chosen. Nevermind. The name ain’t as important as the taste. 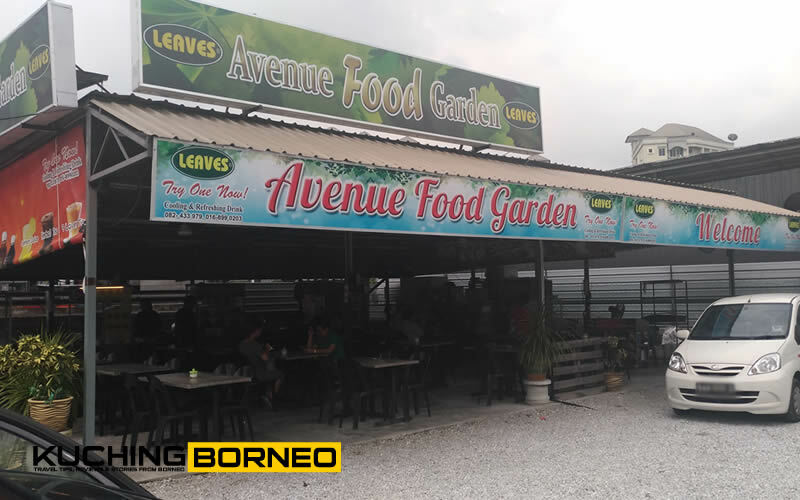 To get a taste of Nasi Lemak Twin Turbo, go to Avenue Food Garden, which is located just beside Avenue Cafe and Avenue Car Wash at Bayang Estate. If you don’t know where that is, the map below will help. The stall opens in the morning from 9 til 1PM, or until the dish is sold out, which ever comes first. I asked the owner Patricia if she opened in the evenings and night, and she told me that she can’t at the moment as she needs to prepare for the next day sales. If I am not mistaken, they close on Sundays, so go to Church and forget about Nasi Lemak Twin Turbo that day. Good food ain’t cheap, so do expect to pay RM6 for one serving though there’s a cheaper option, I guess with no rendang on the side, but that’s no fun. Anyway, the place also serves good kopi peng, and teh tarik peng (again, this is subjective), but I do see myself returning in the near future because today, when I found this nasi lemak style which I’ve been wanting to eat since 2006, I had two plates! //UPDATE: You can also order the nasi lemak online with delivery within Kuching City.